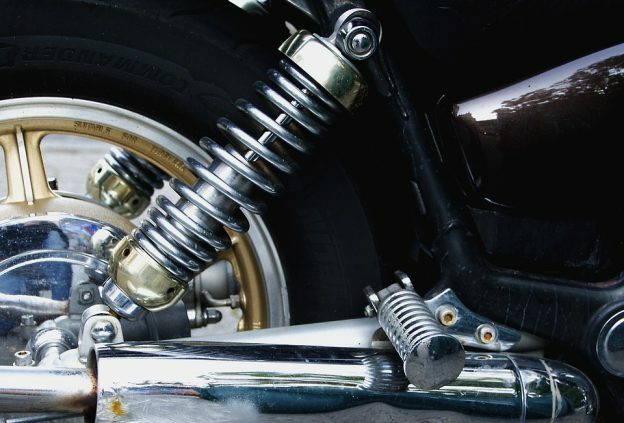 A car shock absorber is simply a mechanical or hydraulic modified to absorb the impact and lateral movement of the vehicle’s springs and suspension (dampering). The major purpose of the car shock absorbers is to ensure the wheels are firmly and consistently in contact with the road. To ensure the vehicle is stable in cases of heavy braking and also irrespective of the road surface. Most people assume shock absorbers support the weight of the vehicle. There is more to it. There are two major roles of shock absorbers; to ensure the vehicles tires are in interaction with the road surface at all times. They also absorb the vibrations of the springs and suspension during movement of the vehicle. Despite all shock absorbers performing the same job, different type of vehicles and suspension designs require different types of shock absorbers. The prime function is to minimize aeration of hydraulic fluid. Air bubbles in the hydraulic fluid are compressed by the pressure of nitrogen gas. This prevents the air and oil from mixing creating foam. Foam affects performance since it can be compressed. Improves handling by reducing rolling and swaying. By reducing aeration, they offer a greater range of control over a wider variety of road conditions. Gas charged shocks reduce the damping capability of shocks as they heat up. This technology provides greater control for handling while improving ride comfort since it moves beyond traditional velocity sensitive damping to focus on address impact. This impact focus is achieved by utilizing a new compression valve design. This compression valve is a mechanical closed loop system which opens a bypass to fluid flow around the compression valve. The valve automatically adjusts to changes in the road condition. This type has an inline arrangement featuring an oil chamber and a gas chamber. The piston valve generates damping forces in both the extending and contracting strokes. Due to this features, damping forces have a linear relationship to piston movement. Monotube shocks are significant component along with the spring in supporting vehicle weight. Can be mounted upside down reducing the unstrung weight. Since the working tube is exposed to the air, it may function cooler. This type of shock absorbers actually replace part of the suspension system hence they are built stronger in order to sustain larger loads and forces. The strut type come in two units i.e sealed and repairable units. The sealed units are designed to be fully replaced while the repairable (McPherson) struts you can fit with replacement cartridges. This type of shock absorbers posses both the features of telescopic and strut type shock absorbers. However, they are not modified to support heavy loads as the strut type and can’t be repaired once damaged hence the whole unit will have to be replaced .In this type of unit, a spring seat shock is both a suspension unit and a damping device all in one. This is the simplest type of shock absorber since it’s generally replaced rather than repaired. This type can be found both in rear and front suspension systems and not that expensive. With this type of shock absorber, the length of the ride can be adjusted using the full length of the main body. The driver’s desired height can be reached even when the absorber is installed in its fully extended state since the configuration use the full capacity of the spring. African terrain has a severity of 25 but majority of Africans drive grey imports which come with a suspension severity of 1. Therefore, three months after one acquires a vehicle, the shocks begin to lose their absorption features and so the vehicle is not used often since the shocks are a critical component of vehicle handling and safety. So, when it’s time to change your shocks question is which is the best shock foe your car and which shop can you acquire them at a lower cost?